The Hi Fi ATH-AR5BT Wireless Over-Ear Headphones let you enjoy amazing, high-fidelity audio whether you choose to listen over a traditional wired connection or via Bluetooth® wireless technology. 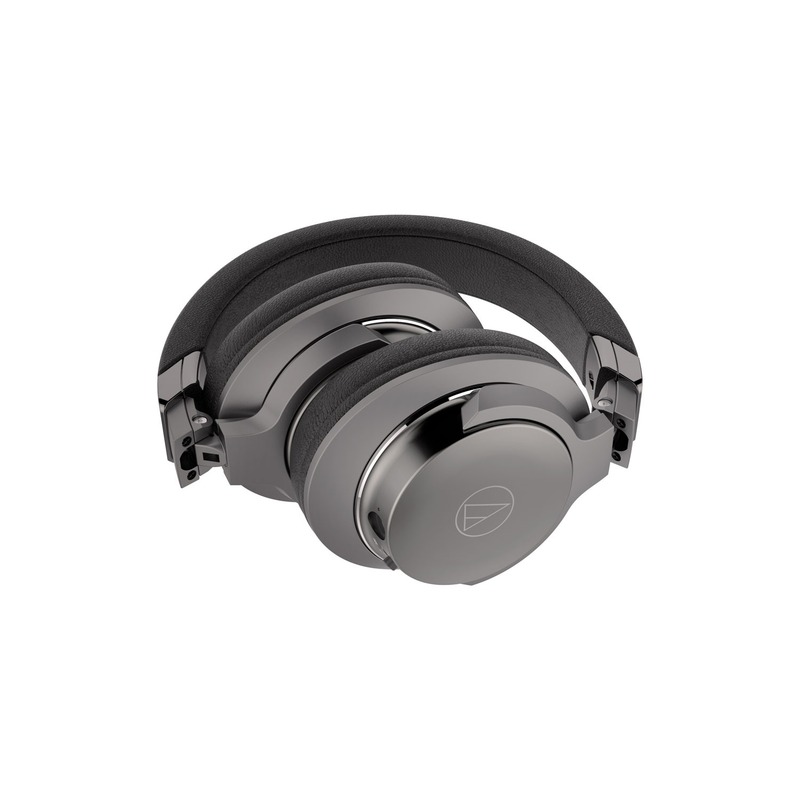 The headphones are compatible with Qualcomm aptX, AAC and SBC codecs, and connect easily with smartphones, tablets, music players, and other devices. 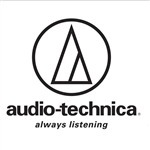 Adding devices in the headphones’ memory is made even easier with NFC (Near Field Communication) functionality, which enables touch pairing and connection with any compatible device. 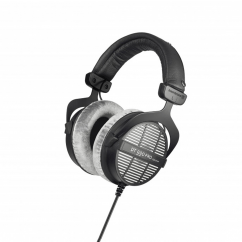 The ATH-AR5BT features powerful 45 mm drivers that are capable of reproducing Hi-Res Audio (5–40,000 Hz frequency response) when used with the included 1.2 m cable. The cable is equipped with mic and controls so it can also be used to operate devices in areas where Bluetooth wireless technology is prohibited or when headphone battery power is low. 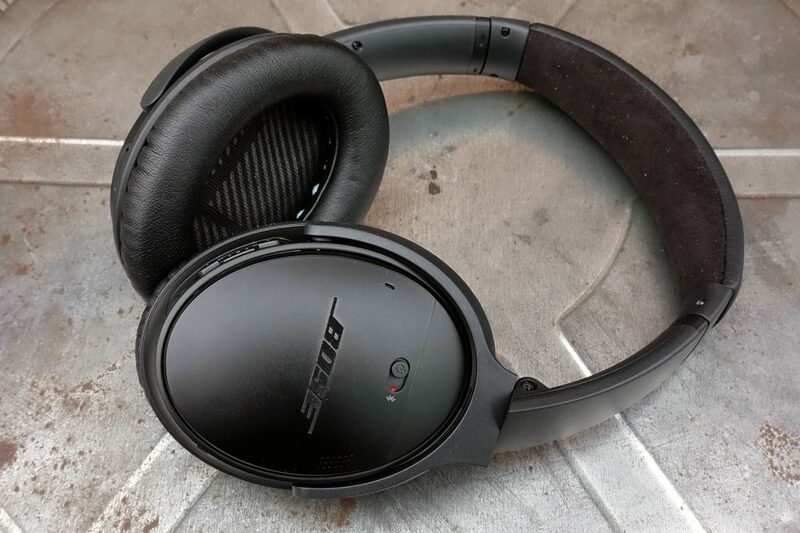 For wireless use, the headphones have a mic and volume/control switch built into the left earcup, making it easy to answer calls, adjust volume and handle music and video playback (play, pause, fast-forward, reverse, next/previous track). 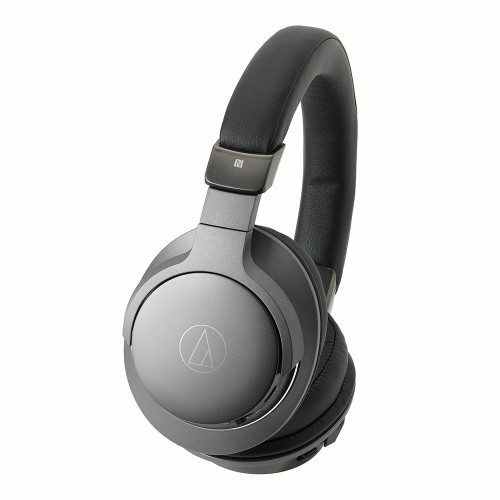 The ATH-AR5BT’s comfortable over-ear design provides excellent sound isolation for the best listening experience in both wireless and wired modes. When travelling, the earcups fold in on the headband for a space-saving fit in the included carrying pouch. 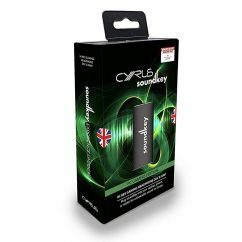 The headphones’ internal lithium polymer battery provides approximately 30 hours of continuous use (1,000 hours in standby mode) and can be recharged using the included 1m USB charging cable.